We are in deep trouble! Either America will break the bonds of the globalists, or we will sink to the bottom of the ocean. The Deep State has initiated a coup within the U.S. government to oust President Trump, his cabinet members, and the media that supports them. They are counting on and preying on the ignorance of the American sleeping public to initiate their plan to eliminate and retire those in the government who stand for the red, white, and blue. They want globalism. They want their crimes hid. They want anyone who stands in their way ELIMINATED and REMOVED from powerful positions, and they are doing it PUBLICLY! 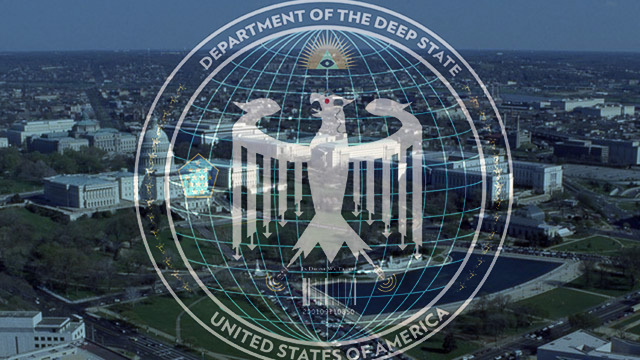 The “Deep State” presents a clear and present danger to the national security of the United States. This rogue entity has declared war on the American people, and President Trump needs to treat it for what it is: a treasonous betrayal of the American electorate and of our democracy. As such, Trump should respond to the “Deep State” for what is is: an insurrection that, by any, measure is a domestic enemy of the Constitution. Start arresting, indicting, and trying these rebels for high treason. He needs to get rough with them, even if it means standing them up against a wall for a willing fire squad of US Marines to summarily execute them. If true, the tap of Trumps phones will bring these issues to a higher level….Pressure needs to be kept on Obama, Soros, Jarret and the Dem’s…….And of course the other globalists. This issue will make or break Trump…If true, and handled right, it will turn the nation against the Dem’s. Bring on the Freedom Caucus, and other conservative groups for support. Dear lisa, Yes people know about the Globalist and Soros who has been behind the attacks on Trump and these gatherings. With their printed out signs and that aren’t man made in a hurry. But a number of us in homeland area are seeing another disgusting scene forming in the underbelly of Sin City forming with these attacks from the left. And we are wanting to spread the word on the internet of what dirtbags they are. Very prominent higher up on the demside of House and Senate with a few from the Gop Sen, dealing with Pedo. and the Island. Using initials to ID them . Why BretBart died and why GlennB was threatened. But if the all the American people rise up against this and bring justice and to see them behind bars. Children are not to be touched NOT by the likes of them. They have done this far to long. Its time to end it.!!! Trump wants too and we can help. That is why they Went after Sessions– Russia was the excuse they used.!! !